It’s true – the sticker price of a ZeMod home is higher than a new manufactured home. However, the low upfront cost of a mobile home masks the total cost of ownership to you over time. As maintenance, fuel, and electric bills pile up, manufactured homes become more expensive to operate the older they get. 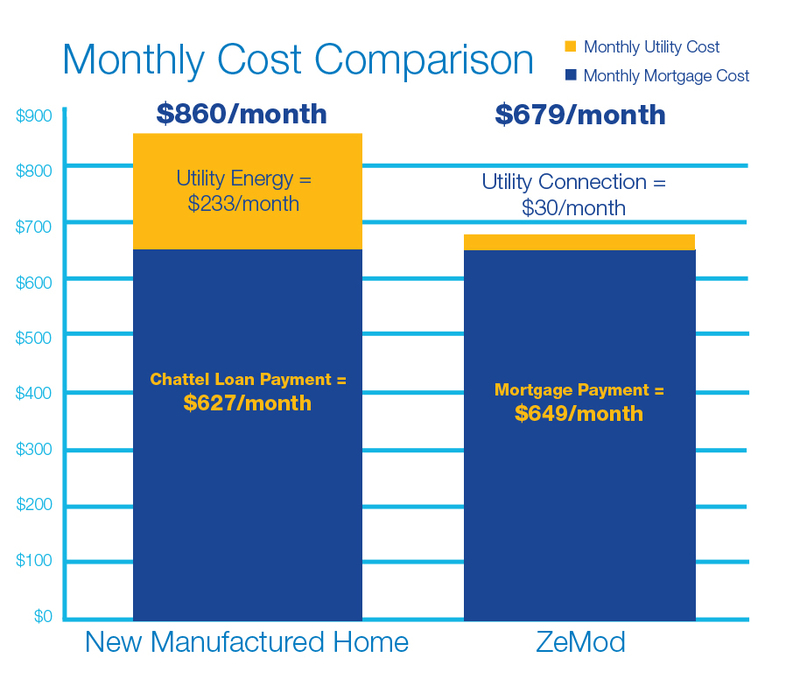 In a ZeMod home with no electric or heating costs, you’ll pay less per month in combined mortgage and energy costs than in a new manufactured home. With durable construction and solar electricity, ZeMod homes deliver quality that lasts, savings that grow over time, and no electric and heating costs. 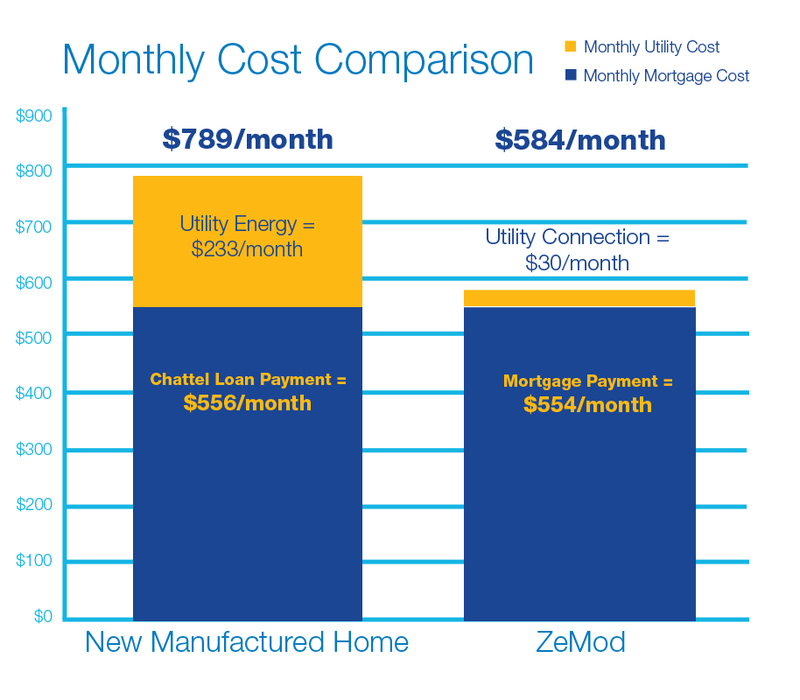 In the short term, ZeMod homeowners save with access to low-interest financing and no electric and heating costs. In the long term, homeowners are investing in an asset that will hold its value over time.